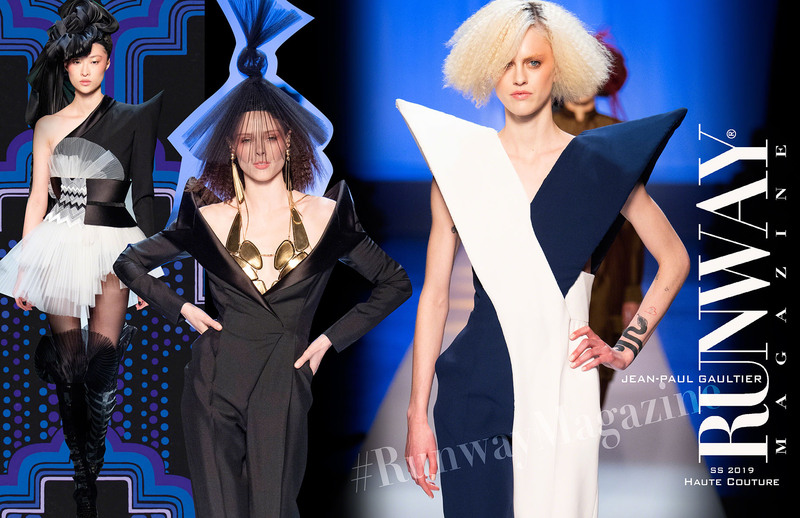 The collection showcases the revisited striped jersey, “shark fin” jackets and the cages that are so dear to the designer. 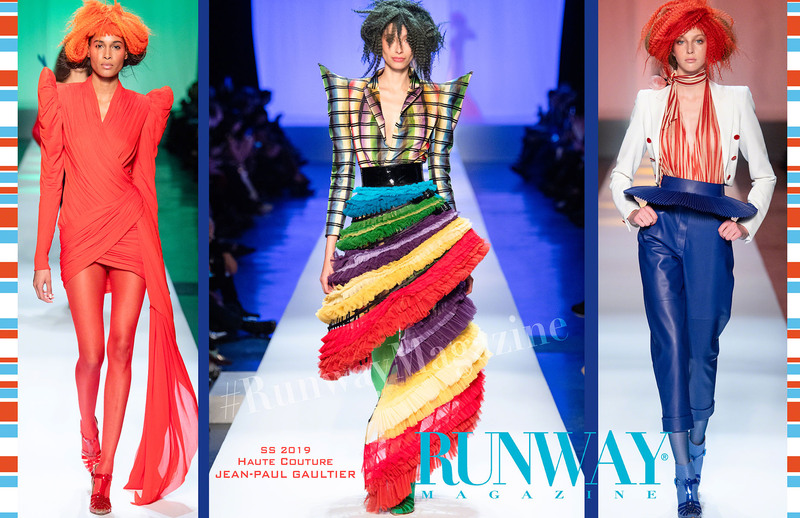 Jean Paul Gaultier went under the sea for his Spring 2019 Haute Couture collection, and it was the wild eclecticism that fashion folk know and love him for. He started with his signature nautical looks complete with vivid stripes that became both billowy blouses and undershirts to sharply-tailored pieces. 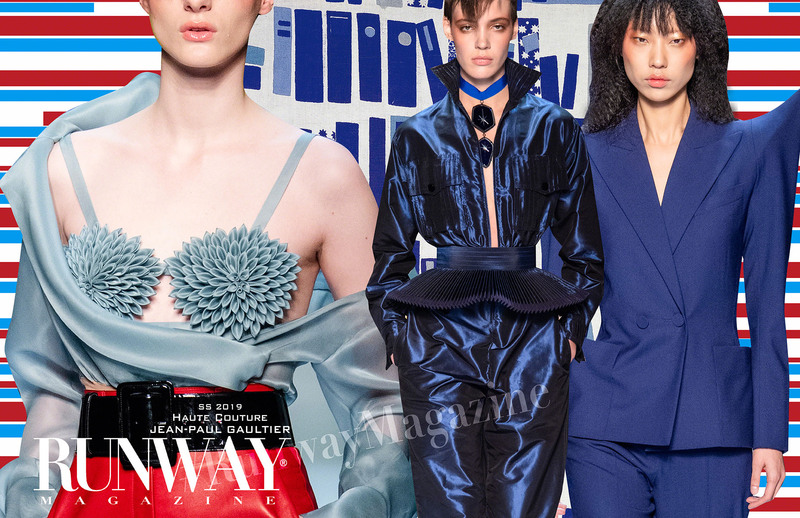 Another Gaultier strength—the exploration of elongated and exaggerated shapes through precise cuts and expert tailoring—was also present. Pantsuits and jumpsuits all displayed shoulders that were so high and sharp, they could kill anybody who dares walk their paths. 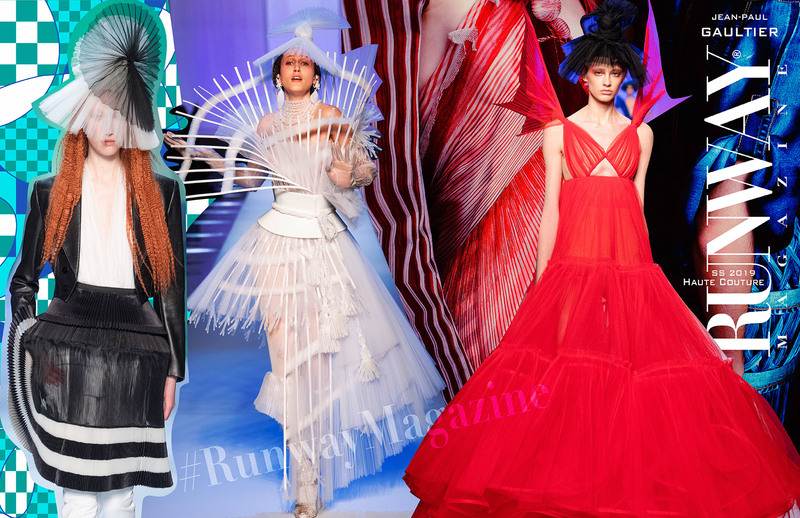 And when color came full throttle on the runway, the clothes just got crazier in the best and most show-stopping way! A tinge of Japanese costumery came in the nipped obi-belted looks, which were painted in electric colors such as neon green and dark plum. 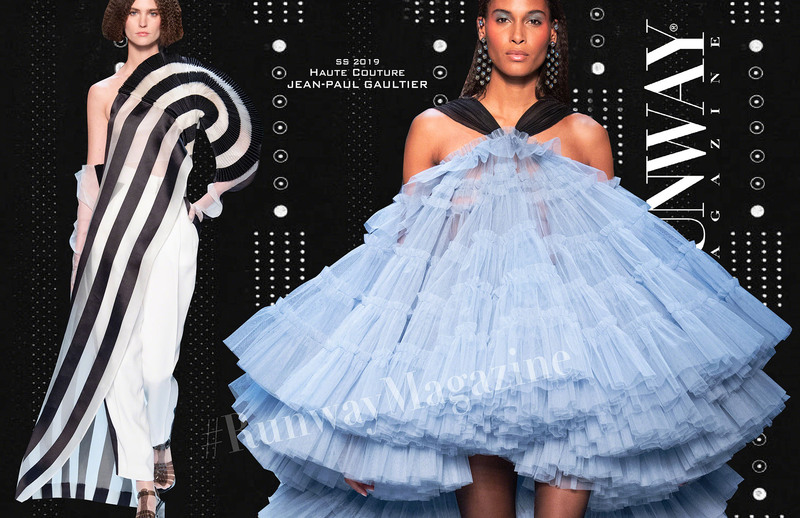 Sci-fi elegance also reigned supreme here, courtesy of eye-popping dresses and gowns in either bright colors or black-and-sheer evening creations. One, in particular, worn by the iconic Dita Von Teese, had an old Hollywood glamour to it that was exquisitely French. 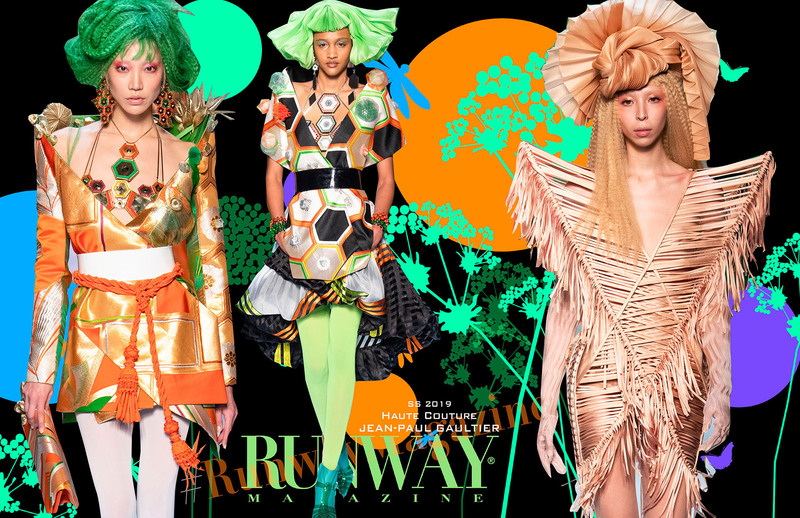 Despite all the references mixed up on this show, the collection was pure Jean Paul Gaultier, and he just proves that that’s all he really needs to give to the world today.